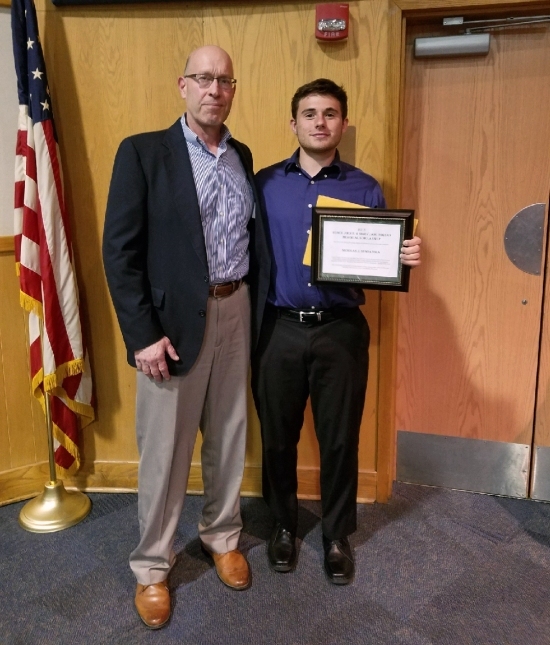 Scholarship Award of $600 to West York Senior, Nick Spadafora. Rest in Peace... "Mrs. T"! (L-R) WY's Don Lehman '73 and National HOF Coach John T. Toggas. 1973 -West York Coach John T. Toggas. In sports, the word "legend" sometimes gets tossed around a little casually. 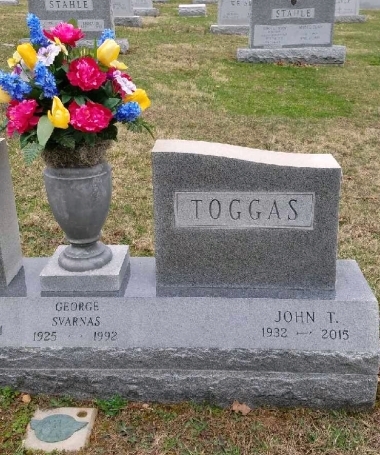 In York County wrestling circles, however, John Toggas was a truly legendary figure. Those are some serious coaching credentials. the memories of the man for the people who knew and admired him. Wrestling Alumni website. 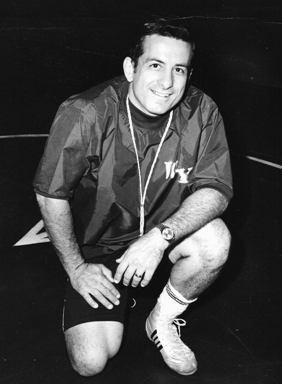 "Coach Toggas left a lasting mark on West York wrestling." "Bulldog Pride" caused all opposing coaches to work extra hard to compete with his tough squads." (269-78-2 from 1964 through 1983 and 1986 through 1991). 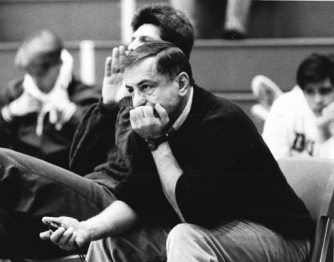 certainly had a tremendous influence on the success of the York County wrestling scene." Sprenkle in 1969). Dana Luckenbaugh was York County's first state champ. Area Sports hall of fame in 1995.
achieve that success and recognition on the state and national levels." 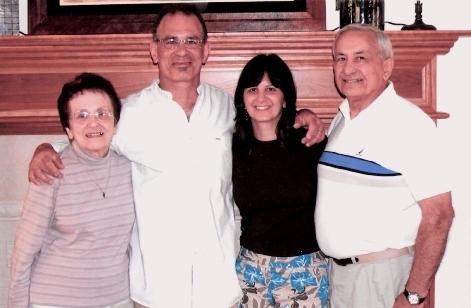 (Mary Jane) and family (son John S. "Moc" and daughter Steph) who came to practically every match,"
a high school official and was a member of the NCAA Rules Committee as a high school representative. and missed all facets of it after he retired." Lasting legacy: There's little doubt that the York County wrestling community will miss Toggas as well. wrestling," Jacobs said. "Thanks, J.T." That's a lasting legacy for a legendary coach. Section: York Dispatch Sports Page - 10/14/15... **sports@yorkdispatch.com. (c) 2015 The York Dispatch. All rights reserved. 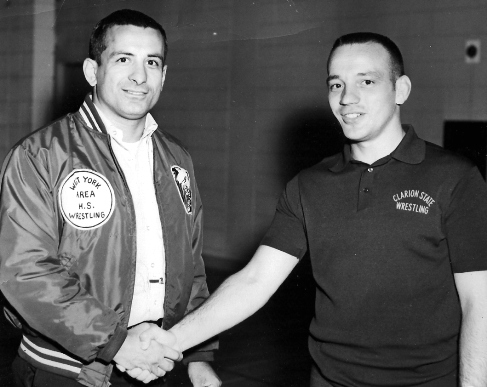 HEISER: "Local Wrestling Loses Legend"
∙ PA Wrestling News Mention... Tom Elling of PWNews! 1964-65 - YCIAA League Wrestling Co-Champions! Darl "Smokey" Dennis, Burton Snyder, Steve Kunkle & Thomas DeLong. Dana Luckenbaugh was a three-time YCIAA sectional champ. Teammate Darl "Smokey"
*Dana Luckenbaugh, *Gary Carbaugh, *Jeff Linebaugh. Back (L-R) Coach John T. Toggas, *Chuck Bostic, Don Narber, *Gary Narber. J. Linebaugh, C. Bostic & G. Narber) - Don Narber was a 1965 Section runner-up. 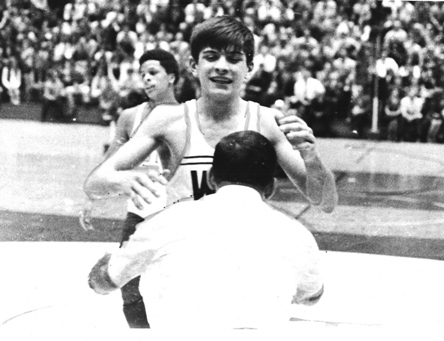 West York's Dana Luckenbaugh won the 1965 PIAA State title @ 112lbs. 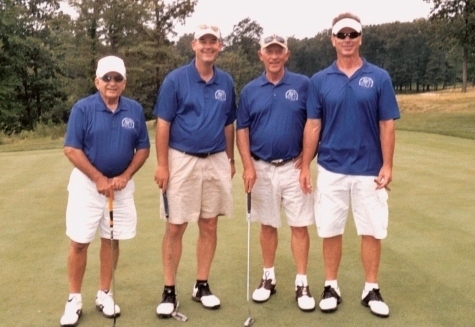 (L-R) John T. Toggas, Todd Reynolds, Don Lehman & Randy Blasdell. and WY Coach John T. Toggas after the big '71 win over Dallastown. (L-R) Coach John T. Toggas with son John S. "Moc" Toggas. Coach Toggas is in 6... Halls of Fames!!! old, was the first schoolboy wrestler in York County history to win a PIAA crown. interested in going to a trade school to study electricity. note: Dana Luckenbaugh dec. Sam Imler (Bedford) in the PIAA semi-final's 17-6. 1950 - York High Football's - John T. Toggas #20. 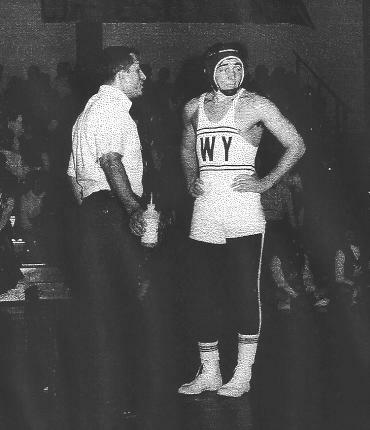 1951 - York High Wrestling's - John T. Toggas (133lbs). 1999 National Wrestling Hall of Fame Induction. (L-R) WY's John T. Toggas & PSU's former AD, Dr. David M. Joyner. Induction of the "Lifetime Service to Wrestling"
Dr. David M. Joyner & Robert Russell. Presented by... Stan Zeamer, President, PA Chapter NHOF. 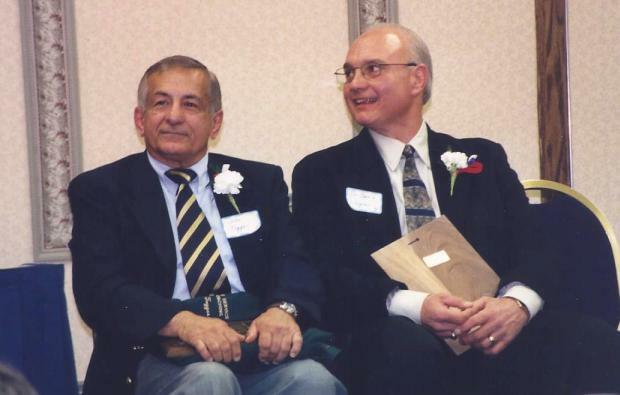 '99 NHOF Master of Ceremonies - Rod Frisco - Patriot News. 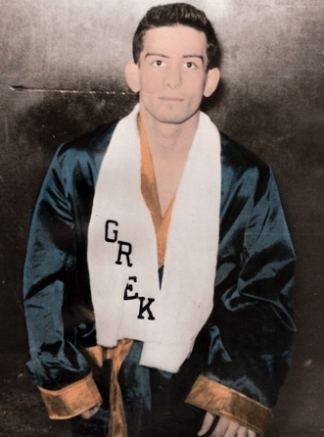 Myron Roderick, President - National Wrestling Hall of Fame. "Wrestling isn't for everyone...but it should be"
John T. Toggas... National Wrestling Hall of Fame - 1999. John T. Toggas truly found his calling in the wrestling room. Toggas was a varsity wrestler at 133 pounds in both his junior and senior seasons at York High. Degree in Education from Western Maryland University in 1971.
w/assistant coach ('69 PIAA Champ) Bill Luckenbaugh - (left). from 1964-1983 and from 1986-1991. His overall Big/WY coaching record is 307-110-4 in 29 years. next to Scott Callahan, Don Lehman, Mike Stambaugh & Bob Bowers. Kneeling in front are Paul Mulay, Kevin McCleary & Neil Bupp. team titles, YCIAA Coach of the Year honors in 1972 and 1978, and 3 PIAA State Champions. in 1965 @ 112lbs. 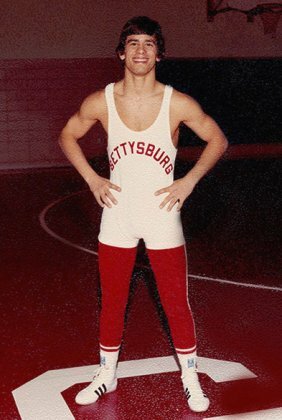 Dana's younger brother, Bill, went on to claim the 1969 PIAA 127lb. title! Mike Stambaugh, WY; Jeff Meckley, WY). * PIAA State runner-ups (Bill Luckenbaugh, West York - '68 & Jeff Meckley, West York - '75). * PIAA State Qualifiers - WY - 16, Biglerville - 2... 18 total. was inducted into the York Area Sports Hall of Fame for Outstanding Sports Achievement in 1995. 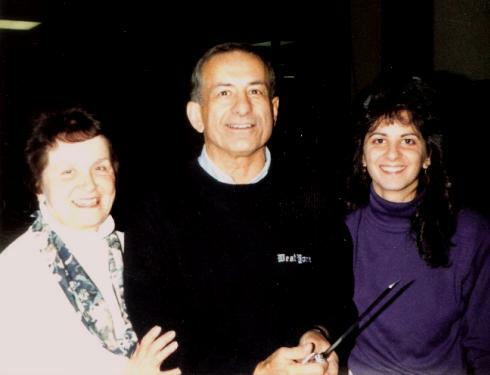 ▪ John was also inducted into the PWCA Hall of Fame in 1992...@ PIAA's in Hershey, PA.
got elected into the PWCA State Hall of Fame and having my two kids... Stephanie & John S. "Moc"
present me with the 1992 PWCA Hall of Fame Award." More proud?!? - Coach JT's wife Mary Jane!! 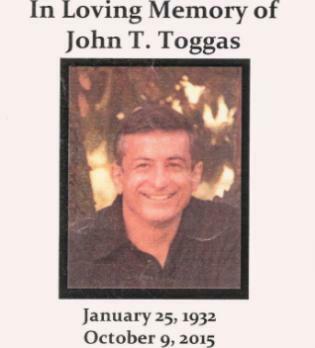 His late son, John S. "Moc" Toggas, was the head wrestling coach at Parkland, PA High School. H. Howard (York High School) & *Arthur Miller (Biglerville HS). Reuben Washington (York High School) & M. Reidel (York High School). *note: Biglerville's Arthur Miller was a PIAA State semi-finalist & coached by John T. Toggas. *note: Biglerville's R. Wagner coached by John T. Toggas. 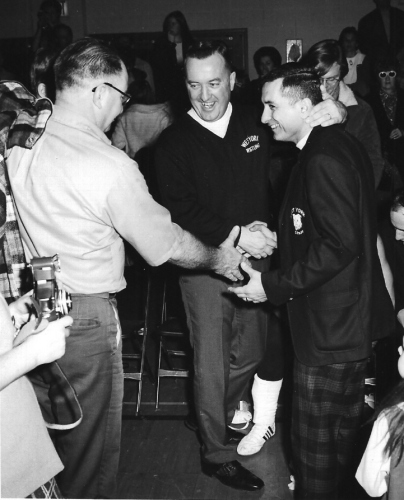 1965 - John T. Toggas with Clarion State College Coach Bob Bubb. The First Year @ West York! Darl Dennis, Gary Carbaugh, William Wiehe, Jeff Linebaugh and others! Assistant WY Coach Robert Bowers. @ the 83' West York Summer Wrestling College Open. with West York HS's coach...John T. Toggas. @ the 82' West York Summer Wrestling College Open. 1998 PIAA AAA State Champs Derek Jenkins & Jon Trenge. 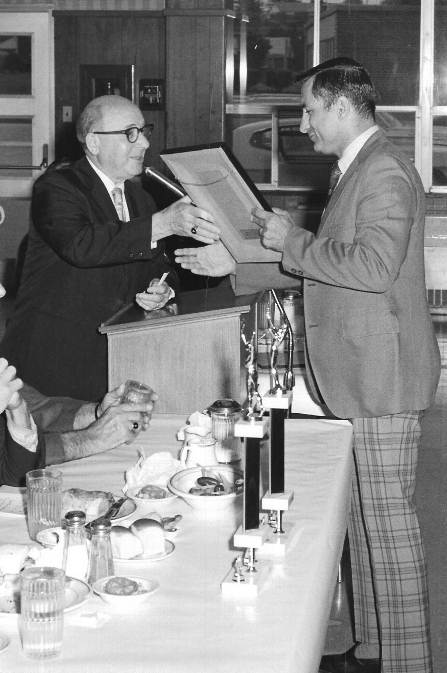 note: John S. "Moc" Toggas - inducted into the 2010 PWCA Hall of Fame. 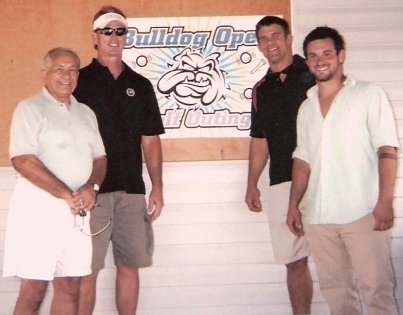 (L-R) Coach John T. Toggas, Don Lehman, Jon Trenge & Matt Toggas. ▪ 1983 PIAA District III Hall of Fame Induction. (L-R) Dana Luckenbaugh & Coach John T. Toggas. (L-R) Bill Luckenbaugh & Coach John T. Toggas. after clinching the '71 Easton Christmas Team Championship! 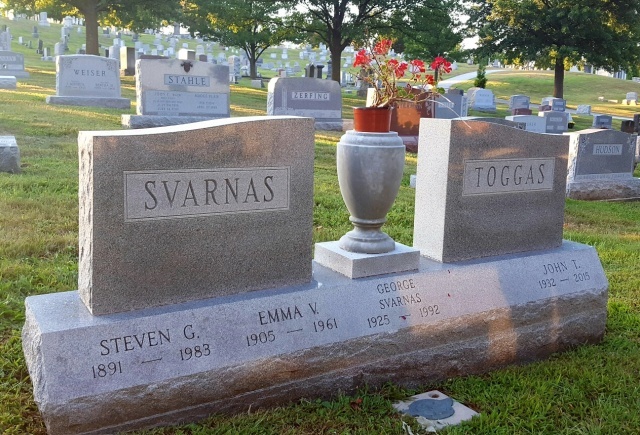 Don Botterbusch, David Toggas, Tom Toggas. Tom Hoover, Skip Martin, Brian Kuntz, Bill Pope, Todd Kern, ▪▪John Pitzer, Steve Culver. Glen Eby, Jack Myers, Dave Heckard, ▪▪Gary Wagner, Steve Toggas, Kevin McCleary. ▪▪Ron Wagner, ▪▪Tim Geiger, ▪▪Perry Mickey, ▪▪Jim Mickey. (▪▪) denotes - Biglerville High School Wrestling Alumnus. (*N/A) denotes - Please...we need some help on a name! 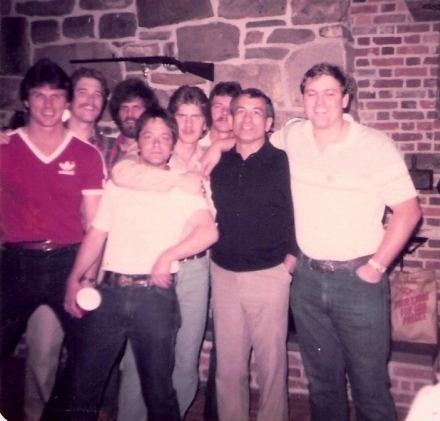 ▪ a LARGER alumni reunion photo page from '83 - CLICK HERE! bandages a cut on WY 154lb. Scott Callahan. celebrating Coach Toggas's 200th win!! 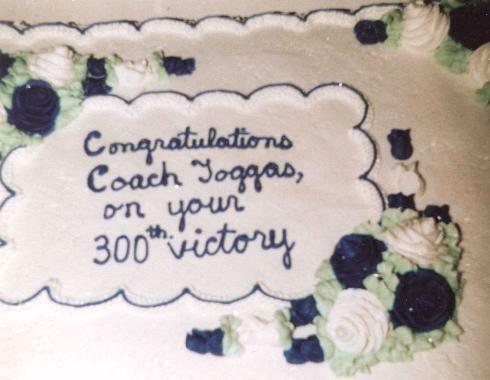 JT Toggas was the first York, PA area high school coach to eclipse the 300-win mark. of such an honor, only to shoo them out of his brain as far-fetched. 1965. He helped countless more kids further their education. it's like,'" Toggas recalled. "It has worked out pretty good." plaque, and a similar one is headed to the National Hall of Fame in Stillwater, Oklahoma. "My granddaughter says we're going to go (to Oklahoma), so, I guess we'll go,' he said. w/former Blair/Lehigh University star & nephew, Tom Toggas (center). • WY's Carolyn Tritt is working the video camera on right! • Tom's Lehigh Wrestling Stats Website - CLICK HERE! Coach JT's First Year @ West York! Darl "Smokey" Dennis, Burt Snyder, Steve Kunkle, Tom DeLong. 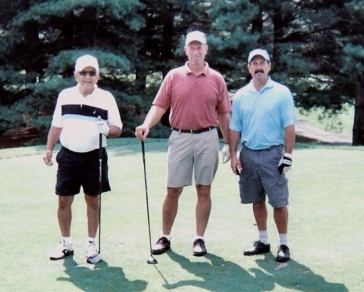 Fred R. Lehman, Charles "Chuck" Bostic, Gary Narber, Bill Wiehe. another one - a lad named Luckenbaugh from West York! decision was over Glenn Miller, a sectional champion last year from York Suburban." before a match and never seemed to worry about his opponent." "If we get by Hanover, we should have 1400 people at our matches with Dover and Dallastown,"
to Clearfield got the tournament during the Christmas holidays." was inducted into the...York Sports Hall of Fame! 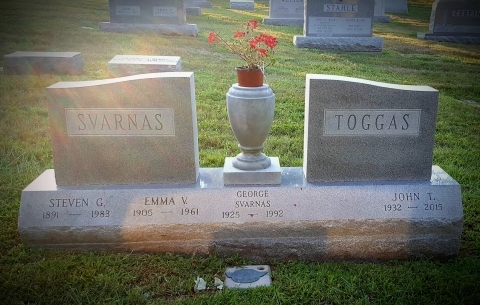 Cary Gerace, Michael Ott, & JT's nephew... Tom Toggas. 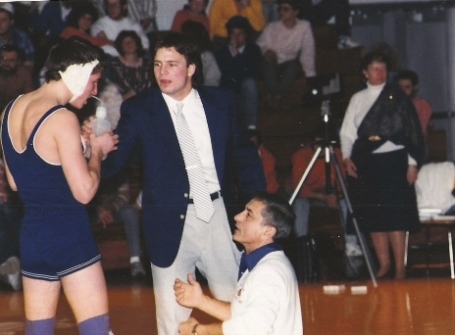 1988 - West York Head Wrestling Coach...John T. Toggas. 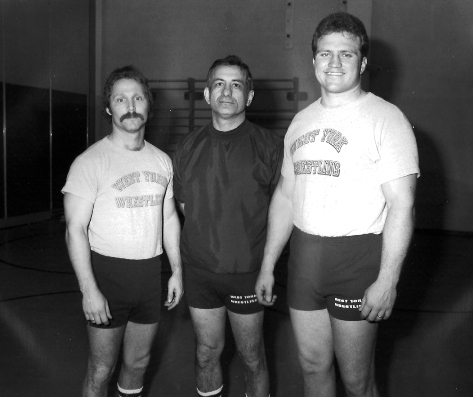 (L-R) Don Lehman, Head Coach John T. Toggas, John Sprenkle. JT Toggas, Kevin Hannigan, Paul McCleary, Brendt Gladfelter. since June of 1955, and have 2 children, John S. "Moc" and Stephanie. stellar coaching record at both Biglerville and West York of 307-110-4.
time while at West York. 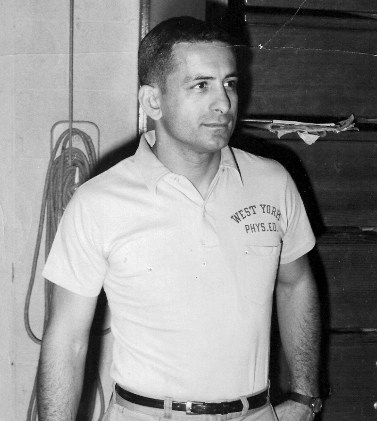 Coach Toggas's first WY season was 1964-65. ▪ Coach John T. Toggas (left) with West York and ESU Wrestling grad - Barry Gay. congratulates J.T. Toggas after YCIAA clinching Dover win! "Super" WY fan Carolyn Tritt is on the left of Coach Toggas. West York wins "1971-72" YCIAA Wrestling Championship! West York Area also finishes with an unbeaten 14-0 record. DL - What have you been doing in Gettysburg to keep busy these days? JT - I enjoy working in my wood shop refinishing and repairing furniture... but when you or (anyone else) calls and tells me we have a tee-time - I close the shop and grab my golf clubs! MJ - Trying to keep up with JT is a full time job. We also spend time with Steph, Carl and our grandson, Brock - and get together with Moc's children, Matthew and Samantha as often as we can. Scott Callahan, Don Lehman, Mike Stambaugh & Bob Bowers. Kneeling in front are... Paul Mulay, Kevin McCleary & Neil Bupp. 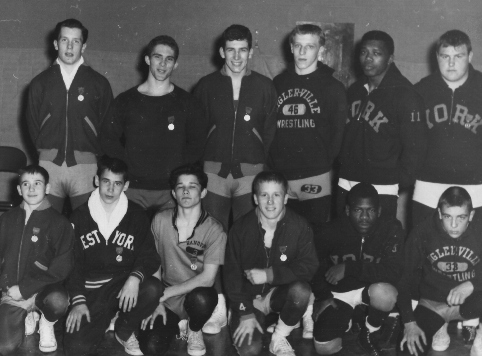 DL - Wrestling has been a huge part of your lives since the 50's. If you could pick out a couple "mat memories" from the many that stand out, what would they be? JT - ▪ Having my 1st PIAA State Champion (Dana Luckenbaugh) in 1965 who was also York County's 1st PIAA State Wrestling Champion. 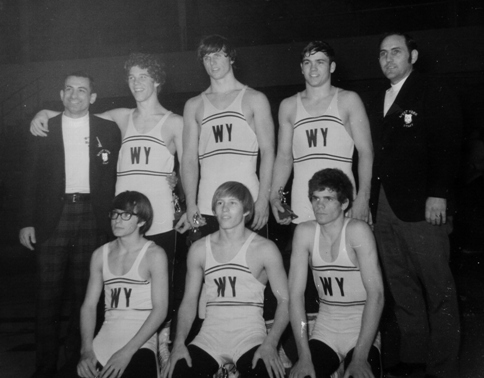 ▪ Winning the Easton Holiday Tournament Team Title in 1971 with four individual champions. ▪ Beating Dallastown in the "Big Match" in 1971 and going 14-0 and winning the '72 YCIAA title. Taking two wrestlers to the 1969 PIAA State Tournament in State College, PA... and coming home with 2 State Champs - Bill Luckenbaugh @ 127lbs. and John Sprenkle @ Heavyweight (below photo - '69 PIAA's). 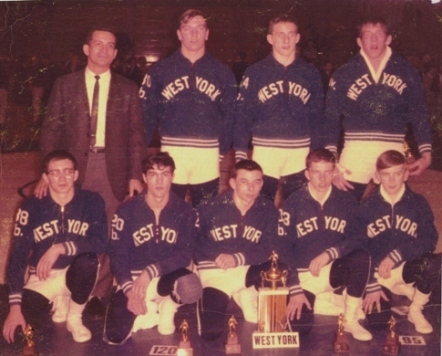 MJ - I wasn't able to go to the 1965 PIAA State finals when Dana beat Shamokin's Bill Welker 4-3, because Steph was just 3 months old... but it was still exciting knowing JT, West York and York County had their first State Champion! Moc, Steph and I were at the PIAA State finals in 1969 at PSU's Rec Hall. It was a NIGHT to remember! I remember making the trip to the Easton Holiday Tournament in 1971 and being in awe of the District XI wrestling greats like Don Rohn, Rocky Creazzo, Lance Leonhardt, Dennis Underkoffler and Rocky Chunko, to name a few. We were SO PROUD of our West York kids winning that tournament! DL - Coaching a sport like wrestling isn't a "3:30pm to 5:30pm" job for four months a year. There is a ton of time not "on the meter" put in by both a coach and the wife of a coach. Your thoughts? JT - If you want to have a good team and a successful program, you have to put in a lot of extra time and you have to go to tournaments year-round. The more you compete (in and out of your area), the better you get as you get exposed to many different wrestling styles. That pays off in the long run. We went to many, many summer tournaments, camps and coaching clinics. 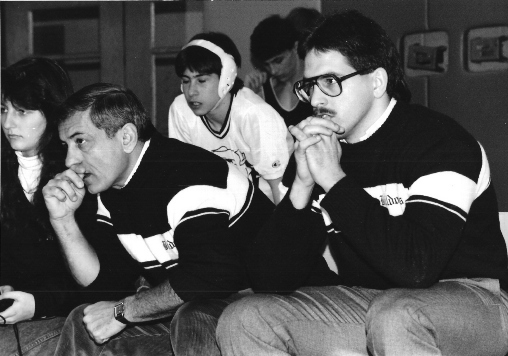 MJ - Moc, Steph and I understood that being a wrestling coach was not just their Dad's "job", it was his passion. They never complained and as a matter of fact - they loved it and we all supported their dad 100%. ▪ 1981 Selinsgrove Tourney Team Champions! DL - I can't speak for other time periods, but when I wrestled in the Toggas era per the early seventies, it really felt like a "family" in all aspects, on the mat... and the support we felt from the great fans. Is that a correct assumption? JT - Absolutely! I always felt that a wrestling team was "family"... you were "my kids" and we all worked together to make each other better. We became winners and everyone loves a winner! When someone was going through a rough time, we talked about it and tried to work on the problem because we cared and that's what families do. MJ - We always knew that "Dad's" team was like our extended family, too. 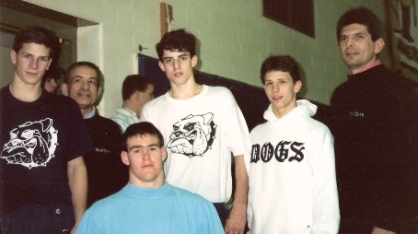 Moc and Steph often said that they had the best times growing up with the West York Wrestling Bulldogs. The fans and parents were great, and we made so many wonderful friendships that still mean so much to us. DL - There has to be a couple funny memories from the Toggas coaching era, please share a couple that first come to mind. JT - The first year I was at West York, we had a match with Columbia. We got on the bus and were on our way... and as we were halfway across the bridge at Wrightsville, we saw a school bus coming towards us... and I asked Coach Bob Bowers if he could see the logo on the bus. He said he couldn't and we thought it would be funny if it was the Columbia Team. When we got to Columbia High School, the AD told us that their team was on its way to West York because they thought the match was away! We had the match the next night and we won. MJ - To say that during the wrestling season - that the team comes first, is no understatement. Our daughter, Stephanie was born a month early on December 14th. I was to be discharged from the hospital that Thursday, but Coach JT had a "big match" with Spring Grove that night, so he couldn't bring us home until the next day! At that time, I didn't have a phone in my room, (it was in the hallway) so sometime before 10:00pm, the phone rang in the quiet hospital hallway and I shuffled out and heard the good news that we had beaten Spring Grove! My friends in the Maternity Ward all cheered when they heard the news. JT - The key to having that successful program is that we all worked together! No one person can effectively run the entire program. The Elementary, Junior High and High School staffs all had their jobs to do and we all worked to achieve the common goal: Making our program the BEST it could be. I always emphasized positive coaching and no negativity. I think one of the best ways to make our kids better is to view films of their matches. Carolyn Tritt did a great job taking videos of the matches and was a great supporter of the wrestling program. We could see what mistakes were made and what worked - so the wrestler could make himself better. There is also no question that the wonderful support we got from the administration enhanced our program. Our coaching staff had a great group of wives supporting them and our wrestlers... and we worked together. I still enjoy many of the friendships I made years ago. MJ - The coaching staff from the Elementary, Junior High and the High School was like one big family working together for "our kids", the wrestlers. Our husbands concerns, dedication and goals for the wrestlers became important for us, too! We made some very special and enduring friendships which we cherish. 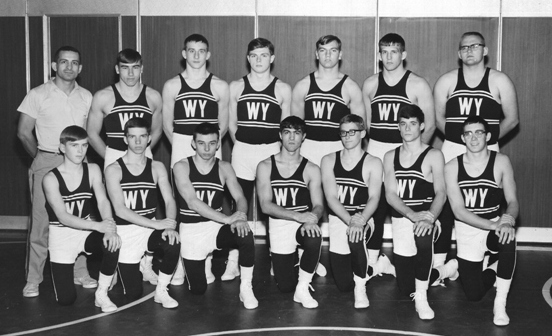 DL - Also - the WY Wrestling Booster Club was formed in 1967. What do you remember about the start of that arm of the program and how did the fans play an important part in the success of the program? JT - We started the WY Wrestling Booster Club to help raise money for our kids to go to wrestling camps, because not everyone could afford to go. We sold merchandise like sweaters, hats, and had hoagie drives - just to name a few fundraisers, and we put the money raised towards the wrestlers needs. We also had a big banquet at the end of the season to thank and honor our wrestlers for all of their great accomplishments. 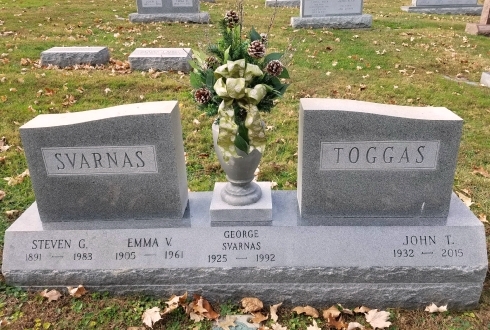 DL - Both of you have been involved with wrestling since the 50's, when a young John T. Toggas wrestled at York High! I saw both of you at the 2009 District III SC Regional AAA Wrestling Tournament at Hersheypark and the PIAA State AAA Wrestling Championships at the Giant Center. How has wrestling changed over the years, or has it? JT - I really don't think wrestling has changed that much. As a coach, I always liked to observe different wrestling techniques and moves from other area teams. There were a group of us high school coaches that would attend the NCAA tournaments every year and we'd look to see what different moves they were using and then try to incorporate these moves and adapt for the high school kids. Once we realized what they could handle, we would drill them until they mastered the moves. MJ - We don't miss many tournaments, Don. It has just become a way of life. Thursdays and Saturdays were wrestling, February and March was tournament time. As much as I love wrestling, I must admit that going to the PIAA States and attending the AAA and AA Championships was a little much, but that's what you do for your grandchildren and we proudly followed our Matthew when he wrestled for Brandywine Heights. As for whether wrestling has changed over the years, I'm not a coach, but I don't think it's changed much. Of course there are a lot of new moves that are pretty impressive, but the basics, when executed perfectly, are just as effective. DL - Many rides home from West York to Gettysburg after a practice or a meet ended with a late dinner at the Toggas home. Was the conversation topic "wrestling" at the kitchen table? JT - What else? Yes, we'd sit down to dinner and if was after a meet, we'd talk about the match and if it was preparing for an upcoming match, we'd talk about who had to make weight and the possible line-ups. After dinner, we'd go downstairs to our rec room and look at films to get ready for the next match. The next day I would spend a lot of time making up different line-ups, trying to put together the best team possible. Wrestling was always on my mind. MJ - It's a good thing wrestling was always on his mind because over the years, some of my dinners were a disaster! First of all, I'm the first to admit I'm not the greatest cook, but not knowing what time he'd get home didn't help my cooking either. He never complained and neither did the kids. They would have a snack when getting home from school since we never knew what time he'd walk in the door. First we talked about how Moc's and Steph's day at school went and then we'd hear all about John's day. We have the greatest kids in the world!!! They both grew up with wrestling and loved the sport... it was just a way of life for all of us. Moc followed in his dad's footsteps and Steph still goes to as many wrestling matches as she can. (I truly think she could officiate a wrestling match as well as most referees!) And, her son Brock is starting his 4th year of wrestling in the Neshaminy area program. 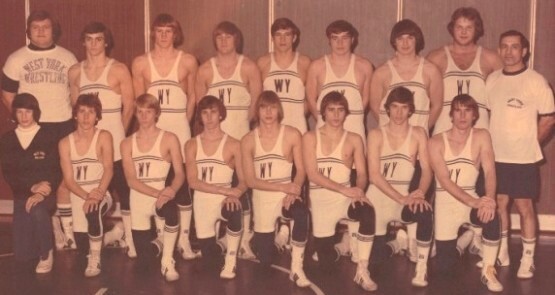 ▪ 1982 - A WY "1972" Team Reunion! DL - Both of you saved so many photos and memories from over the years, and I've tried to capture those photos and statistics on the alumni website as best I can. But, a flood ruined much more memorabilia. That had to be a nightmare! JT - It was really a nightmare! I was sitting downstairs watching a ballgame (around 10:00pm) and all of a sudden, the back door at the bottom of our outside stairwell broke and water just gushed in! Gettysburg was hit with a freak once-in-a-lifetime storm that dumped 13" of rain in less than 4 hours. Shortly before 1:00am it had stopped and we had 7 feet-4 inches of water in our rec room. There really wasn't time to save anything. Thankfully, we didn't lose our electricity and our sump pump worked the entire time, but we were just overwhelmed with the volume of water. We lost so many pictures, wrestling films, yearbooks and scrapbooks! MJ - I never did like rainstorms, but since that night, I'm absolutely terrified of heavy rains. Most of the furniture, John could refinish, but we lost so many irreplaceable things like the yearbooks, photos, films, and scrapbooks which I had compiled each season for John and Moc per their wrestling matches and accomplishments. Moc always tried to be positive and did his best to console me by saying "we know what we did, mom, and that's all that matters!" JT - When I came to West York, I had 65 kids come out for wrestling and I felt that was a really nice size group of kids. I know I worked then pretty hard to become even better wrestlers. I anticipated some of them would quit and I'd end up with a group of 45, but by the end of the year, we had about 75 tough kids! MJ - I knew the decision had to be John's, but to be honest, I wasn't enthused as he was because I'm a small town girl. Moc was in 2nd grade and all the friends he had grown up with were here and we were expecting our second child in a few months. I told him I'd support whatever decision he would make - BUT I WASN'T MOVING! So, being the loving and special man he is, he traveled 60 miles each day to keep his family happy! 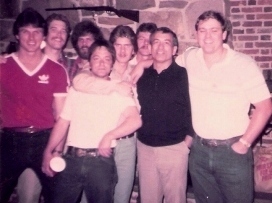 Mike Stambaugh (3rd from left back). 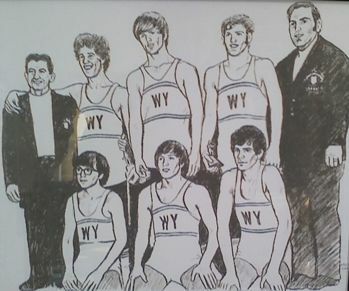 DL - Coach Toggas, seeing West York Wrestling Alumni go from high school to college meant a lot to you - and you had to be proud when in November of 1973, you and a busload of West Yorkers' traveled to the Poconos to watch the F&M-East Stroudsburg State College dual meet. Five of your wrestlers were on the ESSC mat that night, with the feature match at 158lbs. between Bill Luckenbaugh and Kevin McCleary! Mrs. Toggas, you also had to be proud that night. How important was it to you to help your wrestlers pursue further education? 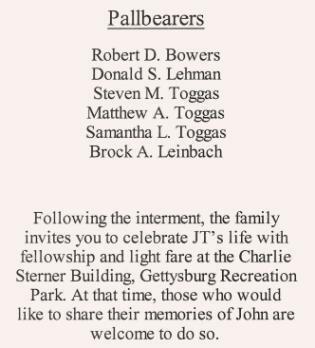 JT - I can't begin to tell you how proud I was to have four of my kids wrestling for East Stroudsburg State and one kid wrestling for F&M that night! I had five of my "kids" out there that night! What a great night it was for me! If I would have had buttons on my shirt, I know I would have been popping them! I always felt that my job didn't end when you graduated from high school and I did encourage my wrestlers to go on to college because I felt that education was the key to success and, hopefully, a way to a better, more secure life. MJ - This was just one more exciting and proud night being mat-side and cheering for our WY Bulldogs. So many wonderful memories, not just for your Coach JT, but for our great children - Moc and Steph... and me, too. It really was a good life. DL - Family is very important to both of you. I have to bring up and ask the tough question. 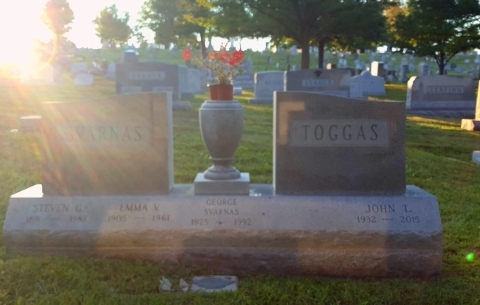 Your son, John S. "Moc" Toggas, was tragically killed last April. 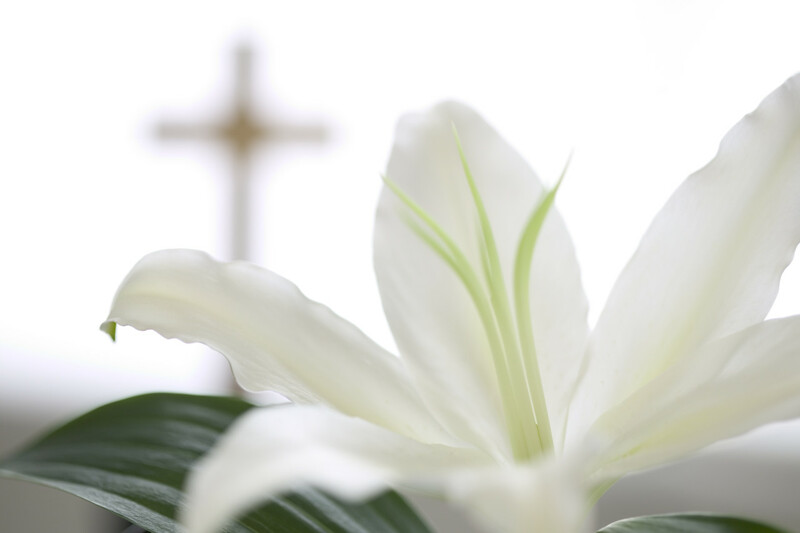 I know it has been extremely tough on the both of you daily, as well as your daughter Stephanie, the grandkids Samantha and Matt, and the rest of your extended family. As I sat at the second of the two memorial celebrations of Moc's life in Allentown with Mike Stambaugh, I was amazed at the number of people in attendance to pay their respects. The number from the wrestling community was great - from West York Wrestling, Parkland Wrestling, Brandywine Heights Wrestling and the other coaches, referees and friends in Moc's life! It had to be comforting to see the outpouring of support from this special wrestling community during this tragic time. Your thoughts on that period of time? JT - Of all the tragedies anyone has to face in life, there is absolutely none worse than losing your child, and I don't think we will ever recover from that. I will say that the support and love that we received from the wrestling community gave us comfort and strength at a time when we really needed it. MJ - A parent's worst nightmare is to lose a child; it just leaves a big, aching hole in your heart and we, Steph, Matt and Samantha and all our family, will never, ever be the same. Moc was always there for us with that grin that was as big as his heart and his comforting and wise words and out-stretched loving arms. Yes, life goes on but that doesn't mean we've stopped crying inside. We've always referred to the wrestling community as "family" and their caring and strength was just like family looking after family and we'll always be grateful. 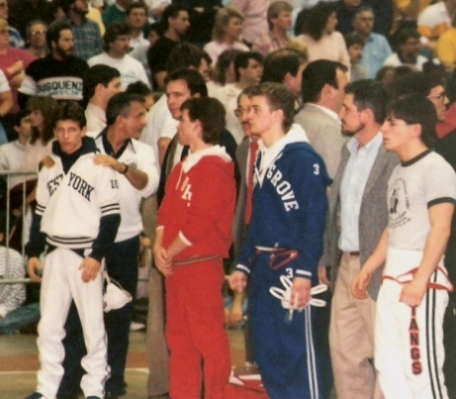 Roger London, Jim Best, Steve Baumbach, Mario Moses, John Lantz, Brad Maurer, Kyle Wolfe, John-Tom-Andy Yankanich, Keith-Matt-Kurt Pryor, and many, many more wrestlers played a big part of the nomination. Are you excited about the induction ceremony next year? ▪ 2010 Inductees PDF Photo Page w/"Moc". JT - Yes, we're so very proud of Moc and all he did... and we're also very proud of all the young men whose lives he touched and who made it their mission to see their "Coach T" inducted into the PWCA Hall of Fame. His mother and I miss him very much and we know his children, Matt and Sam really miss him as does his sister, Steph, her husband Carl and their little son, Brock. We keep in touch with Moc's wrestling kids, too and know too - that they miss him. We've always been so proud of the great job Moc did at the Parkland Wrestling program. Being a wrestling coach, as well as his proud father, I felt he put his heart and soul into a mediocre program and turned it into a State and Nationally ranked program. Of course, he didn't do this alone... he had great coaching assistants and an outstanding bunch of tough and talented kids! He was also fortunate to have great supportive parents and a cooperative administration. Moc was always a very hard worker no matter what he did and I was always so proud of his dedication to his wrestlers and their wrestling program. He coached four PIAA State Champions (Matt Roth, Derek Jenkins, and Jon Trenge - 2 titles), a runner-up, 3rd, 4th, 5th and 6th place winners at State's, also. 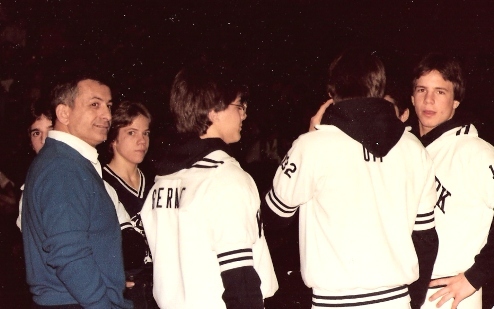 He was constantly searching for the toughest tournaments to enter because he felt that would make his kids tougher and more ready for the post-season competition. In all my coaching associations and experiences, I've never seen anyone study and dissect wrestling films the way he did. He loved the sport of wrestling and always wanted to be the best... and he was. MJ - Over the years, John and I have felt that Moc was a worthy candidate to be inducted in the PWCA Hall of Fame and for the past seven years we've been submitting his name for consideration. Last year, coming home from States in Hershey, we talked about how disappointing it was that our letters didn't bring about his nomination and since we were not getting any younger, we were hoping we'd live to see him inducted. Well, a little over a month afterwards, the unthinkable happened. 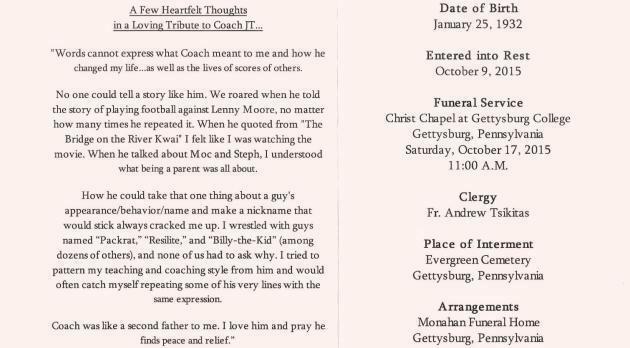 As we thought about submitting yet another letter to the committee this year, we decided why not contact as many of Moc's wrestlers as we could reach as ask them if they would consider writing letters to the committee expressing how they felt about their coach, what they had learned from him on and off the mat and how he influenced their lives. Their response was overwhelmingly successful and THEIR letters resulted in Moc's unanimous induction into the PWCA Hall of Fame and we're so grateful to all of them. It's as we've told them, we felt, too... that Moc deserved this honor, but knowing our son and how he always felt about such things, we know the most meaningful honor for him would be to know how his kid's felt. That's what mattered to him the most. JT - What a great evening! I want to thank you, Don and the Blazer (Randy Blasdell) too, for all your hard work in the planning of this special event. It was wonderful to see all of the guys and I'm so proud of all that you have done - and that your West York Wrestling experience is still so important to you. Seeing my 1978 "kids", Coach John Sprenkle (one of my "kids" too) and the many wrestling fans, made it a night to remember for me! MJ - I was so sorry that I couldn't make the 1978 WY Wrestling Championship reunion because I had committed myself to take care of Brock that weekend. As much as I love wrestling, family comes first! I can tell you that I heard all about it and how much it meant to Coach JT to get together with all of you and reminisce... thank you for making it such a special night for him and his "kids." I truly don't think anyone enjoyed it any more than your coach. Thank you for all you do for West York Wrestling Alumni, Don. DL - Coach & Mrs. Toggas, thank you so much for sharing your memories with the westyorkwrestlingalumni.com readers. And, most of all - thank you for being a big part of my family, life, and also for being dear friends through the years! JT - Our wrestling team was more than a team, we were family and we took care of each other and cared for each other... and still do. I would like to thank all the kids I had out for wrestling. We had a really great group of kids who worked very hard to develop the fine program we had. I did push all the kids we had out for wrestling to go to college or further their education beyond high school because I felt it would give them a better shot at a good and secure future. I am so proud of all of you who did go on to college and also those of you who didn't, but have worked hard and made something of themselves. I really did want the best for all of you. I wish I could do it all over again - it was FUN. We had a good program and we all worked hard to be the best and we were. Thanks, Don Lehman - for all you have done with the website... and the work you continue to do with the Alumni. I thank all of you from the bottom of my heart. West York Wrestling Alumni - if you want to support this website - let me know! ▪ West York Mat Coaches - Robert Bowers & John T. Toggas. ▪ Overall @ Biglerville & West York HS's - 307-110-4 (.729 Winning %). South Central - '00, Adams - '01, National Hall of Fame - '99 . ▪ Graduate of York High School - York, PA '51. (lettered in football, wrestling and track @ York High). ▪ Attended Millersville State Teacher's College & York Junior College. ▪ Graduate of Gettysburg College - Gettysburg, PA (BS in Education) '58. ▪ Graduate of Western Maryland College - (Masters in Education) '71. 2-times YCIAA Coach of Year, PIAA Wrestling Official, NCAA Rules Committee (HS). ▪ Founded the West York & Biglerville Elementary Wrestling Programs. 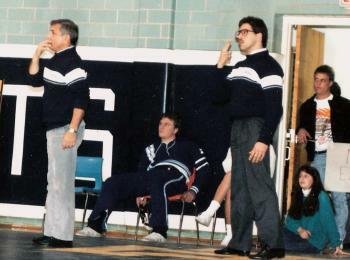 (L-R) West York Wrestling Coaches - Bob Bowers & John T. Toggas. ▪ Front Kneeling (L-R) Paul Mulay, Kevin McCleary, Neil Bupp. Mike Stambaugh, Asst. Coach Robert Bowers. 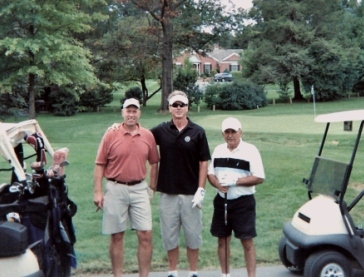 (L-R) Brian Kuntz, John T. Toggas & John Sprenkle. Brian Kuntz and standing in back (middle) is assistant... Kevin McCleary. receiving award from the West York School Board. State final bout win over Bob Pratt of Easton, 8-2.
and West York assistant coach, Robert Bowers @ PSU. 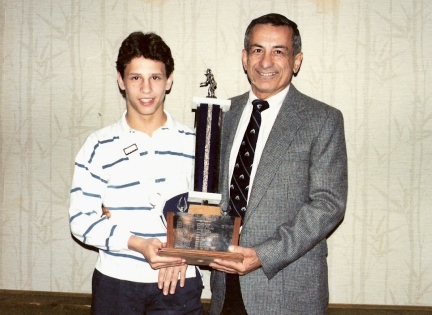 ▪ 3-time MVP David Maday with WY Coach John T. Toggas. New Oxford (1), Spring Grove (1). Mr. Toggas teaching a WY Health Class. 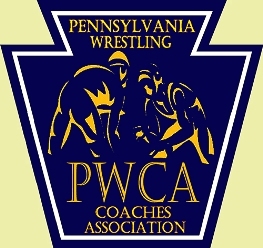 are in the PWCA PA Wrestling's Hall of Fame. WEST YORK WRESTLING COACHING PAGE! 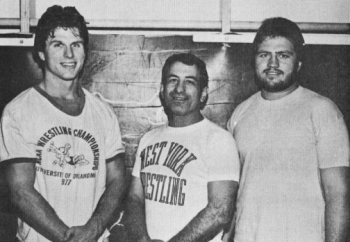 w/Coach John T. Toggas (left) and Jeff Meckley (middle). WY's Dana Luckenbaugh, Bill Luckenbaugh, John Sprenkle. Dana Luckenbaugh (West York) dec. Bill Welker (Shamokin) 4-3. Norm Palovcsik (Clearfield) dec. Bill Luckenbaugh (West York) 11-8. Bill Luckenbaugh (West York) dec. Bob Pratt (Easton) 8-2. John Sprenkle (West York) pinned Joel Kislin (Wilkes Barre GAR) 5:12. John Eichenlaub (Lock Haven) pinned Jeff Meckley (West York) 3:24. ▪ Front (L-R) Don Botterbusch, Bruce Stambaugh, Rodney Stough, John Silar. David Stram, WY Head Coach John T. Toggas, Asst. Coach John Sprenkle. ▪▪ 1/10/09 - The recognition of 78' team/coaches @ Dallastown match. Coach John W. Sprenkle & Coach Don Lehman. Photo by Samuel Toggas, R.Ph. (L-R) Steve Toggas, John T. Toggas, Skip Martin & "Moc" Toggas. West York's Dave Maday (front) chats with Coach John T. Toggas. Fred R. Lehman and... Fred E. Lehman. 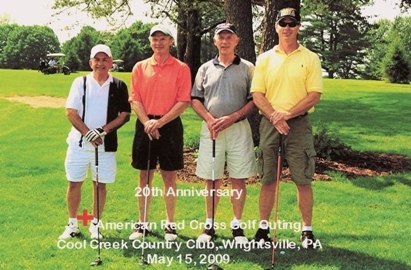 (L-R) Don Lehman, John T. Toggas, Terry Strayer & Fred Lehman. 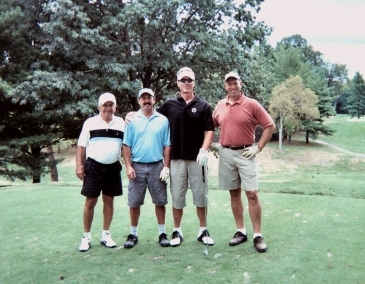 (L-R) John T. Toggas, Fred Lehman, Terry Strayer & Don Lehman. 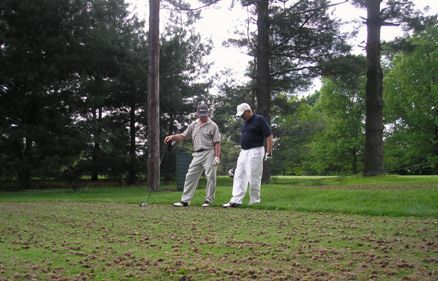 @ Fountainhead Country Club in 2009 golf outing by Todd Reynolds. Arriving... (L-R) Skip Martin, Terry Strayer & Coach John T. Toggas. (L-R) Don Lehman '73 and HOF Coach John T. Toggas. 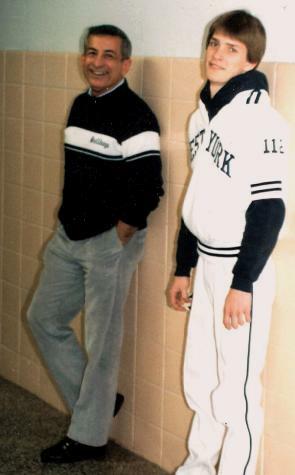 (L-R) Coach John T. Toggas and Bruce Stambaugh '78 "ready to play." 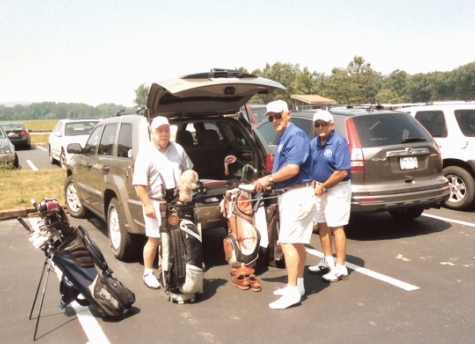 (L-R) Coach John T. Toggas, Don Lehman and Terry Strayer arrive at Iron Valley. 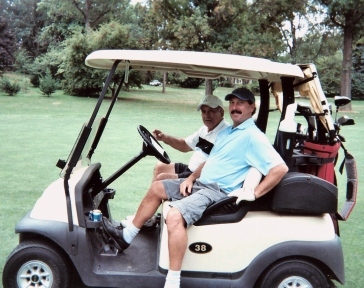 The "Coach" & Rick Blasdell @ the 2010 ARC Golf Tourney! 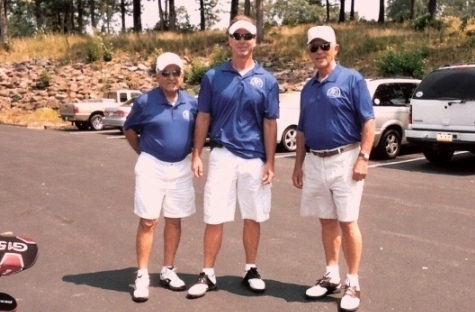 8/23/10 - (L-R) Randy Blasdell, Don Lehman & Coach John T. Toggas. 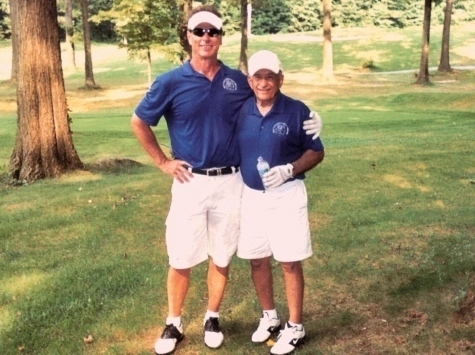 8/23/10 - Coach John T. Toggas & Todd Reynolds @ Fountain Head. 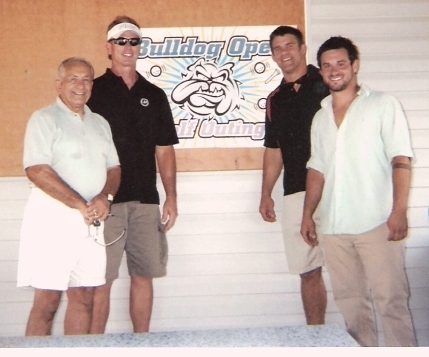 8/23/10 - Coach John T. Toggas, Randy Blasdell & Todd Reynolds. Dave Carley, Bruce Stambaugh, Lynn Sheely, Ryan Brady & *Jon Trenge. 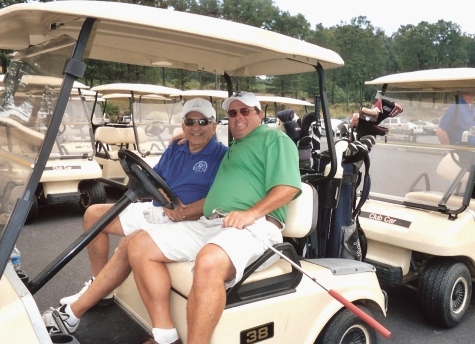 2012 - Steve Toggas (left) w/his uncle John T. Toggas @ Briarwood. 2012 (L-R) Coach JT Toggas & Bob Linker @ Briarwood West! WY Coaches John T. Toggas & John Sprenkle. A Coach J.T. Toggas Recognition!! Thanks Randy Turner-for donating the Jacket! Jim Haas, West York Head Coach John T. Toggas and Mike Stambaugh. Kevin McCleary & Neil Bupp. Barry King, Mike Stambaugh & Don Lehman. Barry Botterbusch, Mark Jenkins, Kevin McCleary & Neil Bupp. ▪ 1971-72... YCIAA League Wrestling Champions!! ▪ 1972 YCIAA Section Wrestling Team Champions. ▪ 1971 Easton Holiday Team Wrestling Champions. coaches... John Sprenkle and John T. Toggas. &... Jeff Wolfe (kneeling in front). WY Area Asst. Coach Bill Luckenbaugh & Jeff Wolfe (kneeling in front). South Western's 125lb. 3-time PIAA State Champ Joey Wildasin - (far right). *note ▪ The 1989 District III AAA Tourney had five YCIAA Champions! 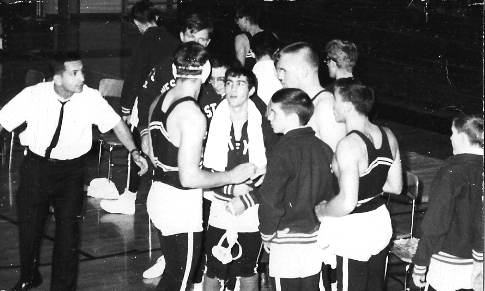 Red Lion's Tac Thomas ▪ all won DIII AAA titles in '89 @ Shippensburg. up an '89 AA title - for the YCIAA Wrestling League. 1/3/13 ▪ A West York Wrestling "Alumni Night" chat with Coach Toggas. given to ESU's Desi McNelis... by WY's John T. Toggas. Coach John Sprenkle, Tom Toggas, Rob Eyster, Coach Brian Kuntz. after Matt Roth's 1994 - 112lb. PIAA State Championship. "Proud of their West York Wrestling Gear!" Earl Ward (Cumberland Valley) & Denny Reed (Cumberland Valley). (Susquehannock) & William Brenneman (Big Spring). holding a great sign from sponsor & sister (Moc)... Steph Leinbach. and ... a 3-time NCAA All-American @ (Lehigh U.) - J. Trenge Q & A. ... the coach's grandkids. It was very well attended! John Chiappy, Bradley Pope, Jeff Meckley. Gary Johnson, Jim Altland, Jim Shorts, Mark Kraber, Coach John Toggas. "Always... parked by the WY Locker Room Door!" "Wrestling - Training For The Rest Of Your Life"
Weight West York JT Toggas "Top 60"
"JT's Coached Hall of Fame Team!" ▪ Remember... All-Time Teams are for "fun", just like all rankings! "Weight classes are approximate from year's back!" West York Wrestling's family is very proud of all West York Wrestlers! 1988 - West York's John T. Toggas w/Bob Linker. after Bill's PIAA 127lb. State Championship! to win a PIAA State Wrestling Title! with 5 West York wrestlers!" Pace East Stroudsburg Over F&M College! "West Yorker's Luckenbaugh - McCleary Grapple at 158lbs.!" State College's 24-18 victory over Franklin & Marshall College Wednesday night. college career over F&M freshman Kevin McCleary at the 4:55 mark in the 158lb. class. ∙ Kevin McCleary and Bill Luckenbaugh are both West York (PA) High School products. Don Lehman who lost a 6-3 verdict to F&M's Jim Devenney in the last match of the night. ∙ Lichty is 0-4 and Lehman is 2-2 for the Warriors this season to-date. ∙ @ East Stroudsburg State College's LeRoy J. Koehler Fieldhouse, East Stroudsburg, PA.
∙ This match was the second ever between the two schools... HERE! in a quad meet also with Trenton State (NJ) and Slippery Rock State College. 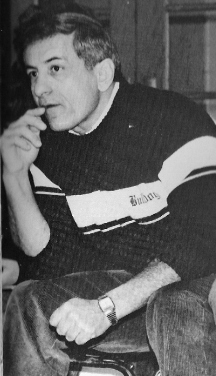 ∙ F&M Head Coach - Stan Zeamer. 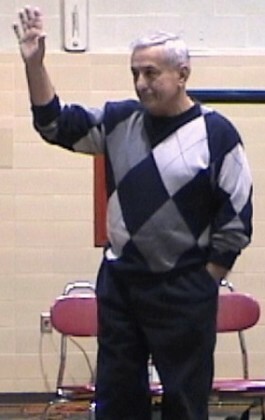 ESSC Head Coach - Clyde H. "Red" Witman. ∙ ESSC Sports Information Director - Pete Nevins. ESSC Athletic Director - John Eiler. *More results from the 1973-77 ESSC mat seasons... @ ESSC Wrestling Archives. just a "modern" extension of the visuals we saw during our lives at West York Area! and the many WY athletes who competed in the World's Oldest and Toughest Sport! "Preserving an Eighty- Three Year History!" FROM THE WEST YORK WRESTLING ALUMNI WEBMASTER/OWNER -- DON LEHMAN.